Speaking at the annual Valdai Discussion Club meeting in Sochi, Russian President Vladimir Putin has touched upon a wide array of issues, including the ongoing war in Syria, nuclear weapons, defense policy and bilateral relations with the US, China and Japan. "We now see what is happening on the left bank of the Euphrates River, our colleagues know that. This territory is under the protection of our American partners, they rely there on the Kurdish armed forces. But they obviously did not work it through, members of Daesh remained in several settlements,” Putin said at the annual Valdai Discussion Club meeting in Sochi. The president further stressed that Daesh had recently started expanding its presence, taking 130 families hostage, which is nearly 700 people, including US and European nationals, in part of Syria controlled by US-backed forces. "They [terrorists] put forward ultimatums and certain demands, and warned that if these ultimatums are not followed up to, they will be gunning down 10 people everyday. The day before yesterday they executed ten people," Putin stressed. "Our information shows that several citizens of the United States and [some] European countries were also taken hostage [by Daesh]," Putin added. Russia's nuclear doctrine does not stipulate a preemptive strike, but Moscow is determined to respond to any first strike by a potential aggressor, Russian President Vladimir Putin said on Thursday. "…about whether we are ready, whether I am ready, to use the weapons at our disposal, including weapons of mass destruction, to protect our interests. I will remind you what I said, and I said that in our concept of nuclear weapons use there is no notion of a preemptive strike," Putin said speaking at the Valdai Discussion Club forum. "Our concept is a response to a preemptive strike. For those who know, there’s no need to explain what it is, but for the uninitiated I will say it again. This means that we are ready and will use nuclear weapons only when we make sure that someone, a potential aggressor, strikes at Russia, at our territory," Putin said. "The aggressor must know that retribution is inevitable, that it will be destroyed. And we, the victims of aggression, will go to heaven as martyrs, while they will simply die, because they will not even have time to repent,” he added. The president stressed that Russia will never start a nuclear war, as it would lead to a global catastrophe. Speaking about relations with the United States, the Russian president said that he and his American counterpart, Donald Trump, had different views on certain issues, stressing, though, that this fact does not impede the bilateral dialogue. "We are engaged in a normal, quite a professional dialogue, and he certainly hears [me], and he does not just hear, he reacts to the interlocutor's arguments, and I can see that. He may disagree with some things, just like I do not agree with him on some things," Putin said at the Valdai Discussion Club. The Russian president positively assessed his meetings with Trump. "Have our meetings with Trump been harmful or useful? I believe that in spite of the attempt to bring these meetings into discredit, they were positive rather than negative… We see what is happening there [in the United States]. It is better to communicate, to be in contact with each other than… quarrel and argue non-stop," Putin added. He went on to say that Trump sought a stabilization of Russian-US relations. "In my opinion, the current president is primed to certain stabilization and alignment of the Russian-US relations. Let us see how it goes," Putin said. "As far as I know, the missing journalist lived in the United States. He didn't live in Russia, but in the US. In this sense, of course, the US bears some responsibility for what happened to him. It goes without saying." The Russian president further emphasized that it was essential to wait until the investigation is over, adding that Russia couldn't justify spoiling relations with Saudi Arabia without knowing what had happened. "First of all, we have to wait for the results of the probe. How can we, Russia, start souring relations with Saudi Arabia without knowing what really happened there? We dont't know what really happened there. So why do we need to take some steps towards the deterioration of our relations if we don’t understand what is happening? But if someone understands and someone believes that a murder occurred, then I hope that some evidence will be provided. Based on this, we will make appropriate decisions." “We signed the Treaty on Friendship, we reached a level of mutual understanding between Russia and China, which, according to our mutual assessments, is unprecedented,” Putin said. National interests must always be protected, but countries like Russia, which is under US sanctions, or China, which is currently in trade war with the United States should not react spontaneously to avoid the deterioration of the situation, Russian President Vladimir Putin said. "We must always respond and defend our interests. We do this, both China and Russia,” Putin said at the Valdai Discussion Club forum in the Russian Black Sea resort of Sochi. Putin stressed that the ongoing trade war between China and the United States may seriously affect global economy as the exchange of "trade strikes" could ultimately amount to over $1 trillion. "This would be one of the reasons for the further downfall of the global economy, it will affect everyone, no one is interested in this," he said. Addressing bilateral relations between Moscow and Tokyo, Putin said that Russia and Japan needed to increase mutual trust. "I am not saying that what I am about to say is some sort of insurmountable obstacle, but nevertheless. We are talking about building trust, we are talking about possibly signing a peace treaty, reaching some sort of compromise on territorial issues that Japan is constantly raising, even though we think they do not exist. Nevertheless, we are not giving up on this dialogue," Putin said at the Valdai Discussion Club in the Russian city of Sochi. The president said that despite Tokyo's sanctions, Moscow was ready to continue the dialogue. Reports of alleged US genetics research in Georgia are cause for concern, as this kind of research and development work is very dangerous, Putin said. “I am not going to make assumptions on how reliable this is. I’ve seen this statement by the former minister of state security of Georgia and, of course, it is alarming. This research, if it is really being carried out, is very dangerous and is linked with the latest achievements in the field of genetics," je said. "In response to the creation of the missile defense system by the United States, we are improving our missile systems, some of which are already in our service, some will be deployed soon, in the coming months. I mean the Avangard system," Putin said at the annual Valdai Discussion Club in the Russian city of Sochi. Russia has outrun its competitors in creating advanced hypersonic weapons, according to the president. "We have definitely outstripped all of our, so to speak, partners and competitors in this field. This is an obvious fact, experts understand and recognize this. 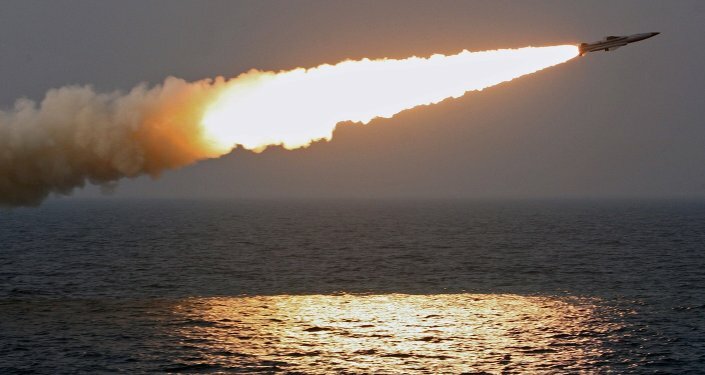 No one [else] has a high-precision hypersonic weapon. Some are planning to test it in a year and a half or two years, but we have it in service. This is a high-tech advanced weapon. In this sense, we do feel confident," Putin underlined. The president stated that Russia would move towards the de-dollarization of its economy, not to undermine the US currency, but for the sake of Russia's own security. "For sure, we will be moving in this direction not because we want to undermine the dollar, but because we want to ensure our security, because sanctions… do not give us the opportunity to work in dollars."